Markets and Industries Served | Tenco Assemblies, Inc.
Having been in business for 35 years we’ve served a wide variety of customers from many different industries. Basically, we provide a cost-effective, labor-intensive and automated packaging capability. This includes handling products in both regulated and non-regulated sectors which include the following. We’ve become specialists in handling consumer healthcare products. Our facility is registered with the FDA, PA State Department of Health, and the DEA. 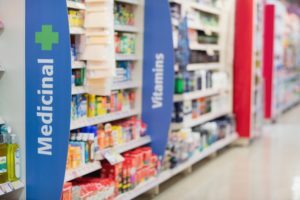 We are qualified to handle all types of consumer healthcare products including pain-relief, cold, flu, allergy-relief, GI products and others. As a full-compliant vendor we are qualified to handle non-narcotic prescription medications. This includes solid-dose medication, pain-relief patches and dental products to name a few. 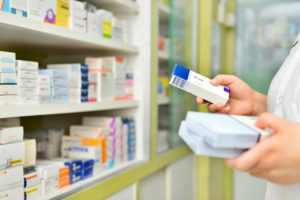 We provide a number of services related to pharmaceutical sales and marketing. These include mailing sales literature and samples to sales reps, mailing-list management, packaging promotional items and giveaways, repackaging product information PI’s and other literature. We provide packaging services for products manufactured abroad that require final packaging and distribution in the US. This includes US companies that are purchasing a manufactured product from abroad, or foreign companies licensing goods in the US. We’ve packaged goods produced in China, Japan, and Europe, for example, providing a final supply chain integration point prior to distribution. To learn more about the industries Tenco Assemblies works with, contact us.